The Advanced Lecture Tablet Chair provides all you would expect from the standard Poly chair but with the added option of a writing tablet. 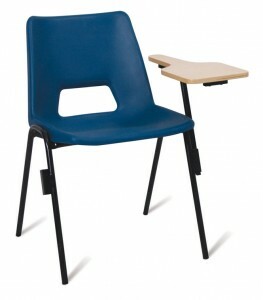 Each chair is fitted with two brackets to enable the Tablet to suit either Right or Left handed writing. We can also supply a wide range of materials and colours for your needs. Optional linking devices are available.